Coty Demonstration at Brown Thomas and Co., Grafton Street, Dublin. Miss Jane Evans a Coty Beauty Consultant would give two cosmetics demonstrations daily for a fortnight to groups of girls from Dublin Schools. 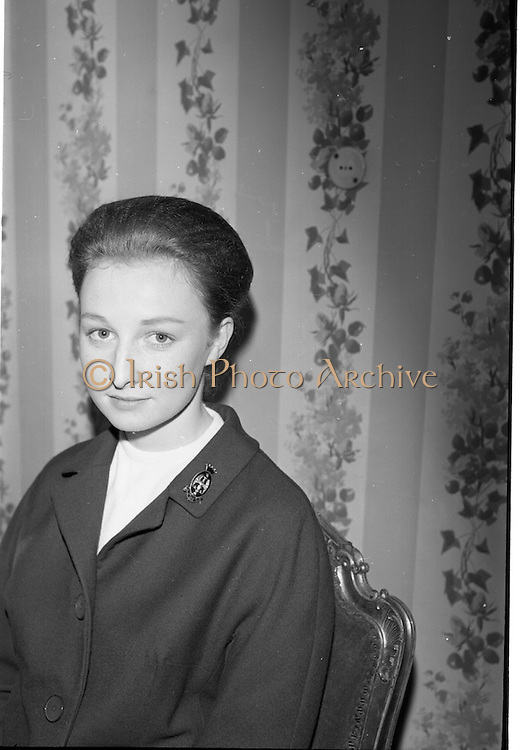 Picture shows Miss Jane Evans, Coty Beauty Consultant who would give the demonstrations at Brown Thomas.